The long-styled Sanicula canadensis var. 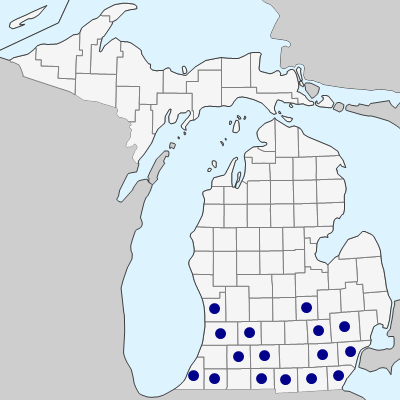 grandis Fernald (see Pryer & Phillippe, 1989) is known from southern Ontario, but no Michigan specimens have been seen thus far. MICHIGAN FLORA ONLINE. A. A. Reznicek, E. G. Voss, & B. S. Walters. February 2011. University of Michigan. Web. 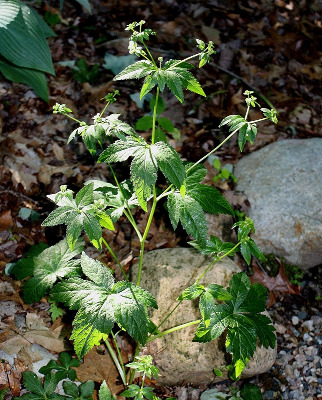 April 26, 2019. https://michiganflora.net/species.aspx?id=139.